WASHINGTON—Net neutrality—the concept that all data should be treated the same by Internet broadband carriers—could face a shakier future after the mid-term elections. The Republicans will likely hold the U.S. House in November, and pundits say the GOP has a good shot at capturing the Senate majority too. If the voting records and public statements of various Republican legislators are reliable indicators, this could spell disaster for net neutrality supporters. Politicians’ positions on net neutrality generally fall along party lines. Democrats typically support it; Republicans usually oppose it. Mainstream America's interest in net neutrality is growing, and with it, corporate spending on lobbying. The skirmishes focus on two key issues. The first is paid prioritization—deals that would let companies like Netflix put your favorite binge-watching TV shows in an Internet “fast lane”—for a price. Netflix joined other leading tech companies, including Google and Amazon, in filing comments today to the Federal Communications Commission. The companies urged the commission to forbid such practices and encouraged “simple, light-touch rules” as preventative measures. The second battle is over broadband reclassification. Net neutrality supporters say reclassifying broadband transmission as a telecommunications service, as opposed to an information service, could boost the FCC’s ability to enforce an open Internet—particularly against such practices as paid prioritization. 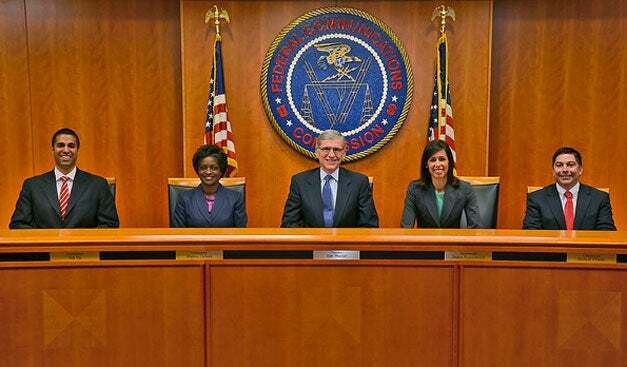 The FCC stirred the pot in May when it proposed new rules to enforce an open Internet. The rules have drawn ire from both sides of the net neutrality debate by invoking the possibilities of paid prioritization and reclassification. Net neutrality legislation, some responding directly to the FCC’s proposed rules, is pending in both the House and Senate. Arguments from both sides appeal to the idea of preserving growth and innovation on the Internet. Where they differ is the believed source of the threat: The GOP warns against reclassification and heavy-handed legislation, while Democrats fear paid prioritization and the threat of a tiered Internet. In May, Rep. Bob Latta, R-Ohio, introduced a bill that would prevent the FCC from reclassifying broadband transmission as a telecommunications service. Latta and others, including Sen. Ted Cruz, R-Texas, oppose reclassification and warn such legislation could be a huge setback to Internet growth and investment. Democrats have criticized the proposed rules, too, but push in the other direction. Senate Judiciary Chairman Patrick Leahy, D-Vermont, and Rep. Doris Matsui, D-California, proposed legislation to ban paid prioritization. They argue this is a crucial step in preserving a vibrant, level playing field for innovation in the Internet. The FCC’s efforts seem doomed either way. The prospect of reclassifying broadband to give the commission more authority looks tenuous even without a GOP-dominated Congress. If Congress swings Republican after the mid-term elections, the pressure to limit the commission’s authority will likely intensify. 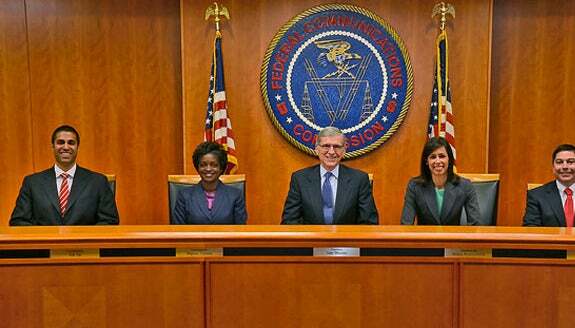 Public comment on the FCC’s proposed rules ends July 15. After that the reply period begins, running until September 10. The public has already sounded off in volume: So far the agency has received 645,000 comments, an FCC representative said Wednesday. Under the proposed rules, paid prioritization deals considered “commercially unreasonable” could be brought forward on a case-by-case basis for evaluation. Net neutrality supporters like Sen. Al Franken, D-Minnesota, and Ron Wyden, D-Oregon, warn that Internet fast lanes could give an advantage to companies with deep pockets, leaving smaller firms and startups in the dust. This, net neutrality supporters argue, would stifle Internet growth and investment, and frustrate users with slower browsing on smaller sites that can’t afford the fast lane. 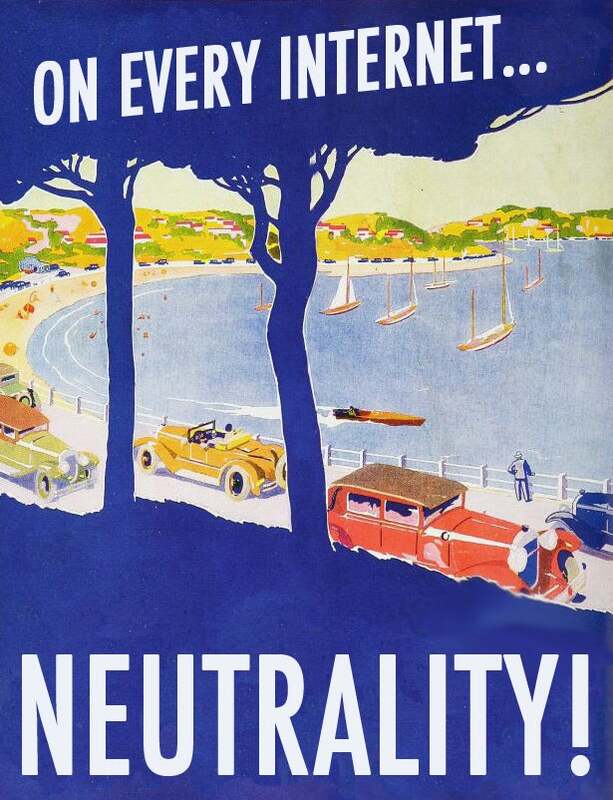 Net neutrality won't get any help from a GOP-led Congress, if midterm elections lean that way. The proposed rules respond to a blueprint laid out by a federal appeals court in January, after overturning the Open Internet order the FCC issued four years ago. 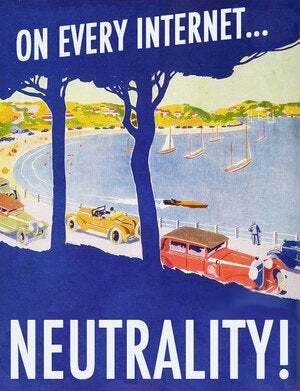 The 2010 order clearly supported net neutrality concepts, calling for transparency from broadband providers and banning them from blocking lawful content and services. But it, too, stopped short of an outright ban of discrimination in transmitting network traffic—a move that spurred concern and debate back then, too. With the FCC considering how to handle paid prioritization, a GOP-controlled Congress in 2015 could thwart net neutrality supporters. The National Cable and Telecommunications Association (NCTA), one of the top five lobbying powers on net neutrality, says it has consistently supported an open Internet, including the 2010 Open Internet order. Brian Dietz, an association spokesman, said no cable companies practice paid prioritization, as the incentive for them lies with providing fast access to Internet services for all users. The association opposes reclassification, Dietz said. Reclassification may seem like hair-splitting to laypeople. But in the world of communications, it’s of fundamental importance, because of the greater regulation imposed upon “common carrier” services such as traditional phone companies. The January case brought by Verizon overturned the 2010 rules, on the grounds that broadband providers’ classification exempts them from treatment as common carriers. 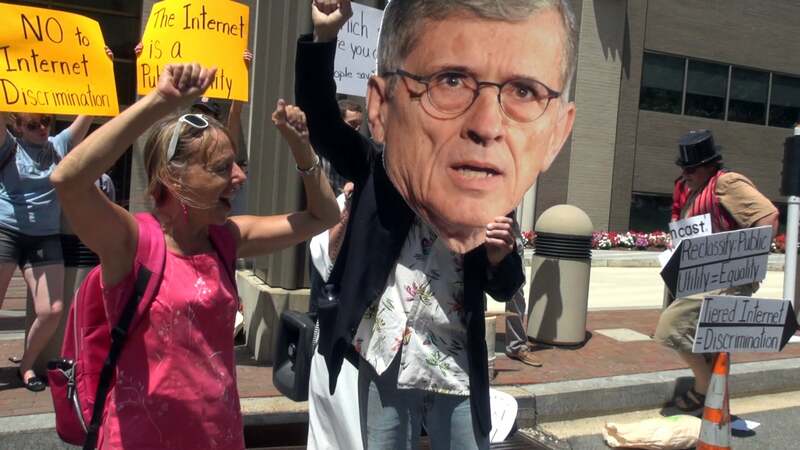 Consequently, some supporters of net neutrality latched onto the idea of reclassifying broadband transmission as a way to boost the FCC’s ability to enforce its open-Internet rules in the future. FCC Chairman Julius Genachowski himself had brought up the idea earlier that year. GOP opponents, warning that governmental interference could create a bigger problem and stifle investment, argue the Internet has seen huge growth so far without intervention. The FCC's proposals for an Open Internet face opponents from both sides of the aisle. When he introduced his bill in May, Rep. Latta said reclassification would burden broadband providers with “regulatory baggage” and hamper innovation. “At a time when the Internet economy is thriving and driving robust productivity and economic growth, it is reckless to suggest, let alone adopt, policies that threaten its success,” Latta said in a statement. Latta declined a request for comment on the legislation on Thursday. Republicans, both in the House and the Senate, appear united against net neutrality legislation and reclassification, but Democratic positions vary. In May of this year, at the beginning of the comment period, 34 House Democrats lobbied the FCC in favor of reclassification, but another 20 urged the agency not to make such a move. Maplight.org reported that all but one of the latter group had received campaign contributions from cable interests during a two-year period ending last December. The median contribution was $15,750, and six were above $50,000. It’s possible to support net neutrality, but oppose reclassification as the method of enforcement, AEI’s Ornstein said. Either way, Ornstein added, House Democrats, the minority party, have little say in the net neutrality debate, making their letter to the FCC mostly symbolic. Despite Democratic Party differences around net, most support reclassification, Ornstein said. “There’s a substantial wariness, a belief that if you’re not strong enough on net neutrality that you’re going to get a very activist web community… who’ll be very unhappy,” said Ornstein. Richard Greenfield, a media and technology analyst with BTIG, an institutional brokerage and fund services company, foresees an uphill battle for those hoping for reclassification as part of the FCC’s net neutrality solution. “While we do not think even the Democrats in the Senate really support Title II [reclassification], it looks like their slim majority could be reduced even further in November. Title II appears politically untenable,” Greenfield said. Net neutrality supporters and a few Democratic politicians, including Leahy and Franken, remain outspoken despite—or perhaps because of—the challenges ahead. AEI’s Ornstein said if much of this gets delayed until next year, political pressure will increase upon the FCC to avoid doing anything dramatic.